Our Recommendation: After extensive research, we have concluded that the Osprey Farpoint 40 is by far the best travel bag out there. Not only is the pack lightweight and can be used as a carry-on on most airlines but Osprey also offers a lifetime warranty on all of their gear (and yes, they honor it). 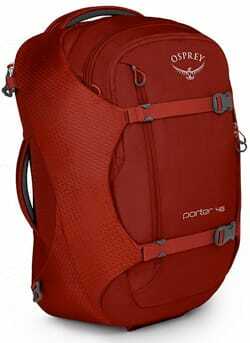 You seriously can’t go wrong with the Osprey Farpoint 40. Below is a list of the best backpacks for travel. Click on the backpack name to read reviews and check prices. How much should a good travel backpack cost? A good quality backpack for travel costs anywhere from $100 – 200. I know for some of you budget backpackers out there it might sound like a lot for a bag but trust me, if there’s one thing you don’t want to skimp on, it’s a good quality backpack. Those cheap, no-name brand backpacks you can find in Chinatown or at Walmart might save you some money at first, but if you constantly have to replace them it’s going to cost way more in the long run! So save yourself some time and money by dishing out the money only once. Get yourself a good quality backpack from Osprey, Deuter or Gregory. 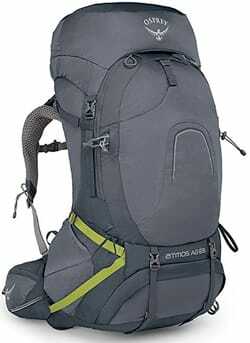 What is the best capacity for a travel backpack? Personally, we are fans of 35 – 45-liter backpacks because you can use them as a carry-on on budget airlines. Also, they can easily be stored under your seat or in the overhead bins of buses and trains. A smaller travel backpack also forces you to take less stuff with you. If you get a bigger travel backpack, you will have a tendency to fill the empty space and carry around unnecessary things with you, which gets quickly tiring for your shoulders and back. Don’t think you can fit all your stuff in a 45-liter travel backpack? Check out our ultimate packing list for backpackers for help on what to pack. After figuring out how many liters you want to carry, the next and very important step is finding a travel backpack that corresponds with your torso length and hip measurements. To measure your torso length, find your C7 vertebrae (the boniest part at the base of your neck) and the top edge of your hipbones, then measure the distance between the two, and the number you get is your torso length. If you don’t want to do this yourself, just visit any good camping/outdoors company and they will help you find your torso length. Based on your torso length you can decide which travel backpack size (ES, S, M, or L) is the perfect fit for you. Please note that the sizes may vary slightly based on brand. Front loading or top loading backpack? Both, front loading and top loading backpacks, have their pros and cons. Neither one of them is necessarily better than the other, it’s really a matter of personal choice. We have traveled with both and prefer top loading over front loading backpacks but a lot of other travelers might disagree. Front loading backpacks, also called panel loading backpacks, have a zipper that goes all around the front and open like a regular suitcase, making them easier to pack and unpack. 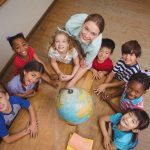 The reason why we don’t like them is because they are usually shorter and bulkier than top loading backpacks and are more difficult to store under your seat or in the overhead bins on buses and trains. Since we travel a lot by public transportation in developing countries, a front loader simple wouldn’t work for us. Plus, front loading backpacks look very weird and unproportional on your body. Top loading backpacks open at the top and sometimes on the bottom, depending on the bag. Getting stuff in and out is a little bit more difficult than with a front loading backpack but once you know how to pack your travel backpack properly it shouldn’t be a huge problem. We, for example, always pack the stuff we need the most near the top or bottom of the bag, and everything else goes in between. Top loading backpacks are also slimmer and taller than front loading backpacks. Padded shoulder straps: Good padded shoulder straps are essential to avoid bruising and to add comfort when carrying around your bag. Padded hip strap: Good hip straps help you distribute your backpack’s weight more evenly and take away the pressure from your shoulders and back. Back Cushion/Ventilation: A good travel backpack should have plenty of back cushion and allow air to move freely, keeping your back from sweating against your bag. Sternum strap: This little mid-chest strap might not look like much, but it is essential for bringing your bag towards your body and stabilizing heavy loads. Hip-belt pockets: Those extra pockets can come in handy for the smaller items you need more frequently like your passport, money, phone, etc. Water-resistant material: Your new backpack probably won’t be 100% waterproof, but it should at least be semi-water-resistant for the times you suddenly get caught in a downpour. Rain cover (tarp): Besides the backpack being semi-water-resistant I also strongly recommend you get one that has a rain cover. If your preferred backpack doesn’t come with a rain cover, you can always purchase one separately. Compression straps: Compression straps help you tighten your backpack and distribute the weight more evenly. Multiple compartments: Multiple compartments help you keep your things organized and allow for easier access. Water bottle pockets: It’s not the end of the world if your bag doesn’t have water bottle pockets but I think they are a nice addition to any backpack. 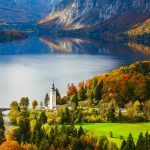 In case you are looking for backpack recommendations here is a list of the best travel backpacks for travel. A great alternative if you want to leave your rolling carry-on luggage behind, this 40-liter backpack gives you more than enough space for a RTW trip. The Farpoint 40 gives you three separate pockets and six ID windows. There are also two dual front mesh pockets and there’s even a lockable sleeve compartment for your tablet or laptop. If you end up having to check this bag when you’re flying, it’s no problem because the entire suspension system (harness and hipbelt) can be stowed in the back panel, decreasing the likelihood of damage. The great news is that even if it does get damaged, Osprey guarantees they will repair or replace the pack no matter when you bought it. Their quality and reputation are unmatched. You can’t go wrong with Osprey. 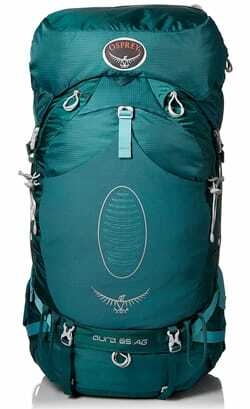 This 44-liter backpack is at the forefront of Osprey’s high-performance, lightweight, multi-sport packs, ideal for your backpacking trip through Europe. It’s even been updated to maximize comfort and practicality. This top-loading backpack has a main compartment with a removable top pocket and under-lid mesh pocket. 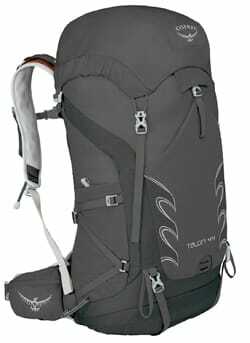 The Talon 44 Backpack is great if you want to take on some exciting hikes on your travel because it has a trekking pole attachment as well as an exterior hydration compartment, perfect if you don’t feel like bringing a separate travel water bottle. 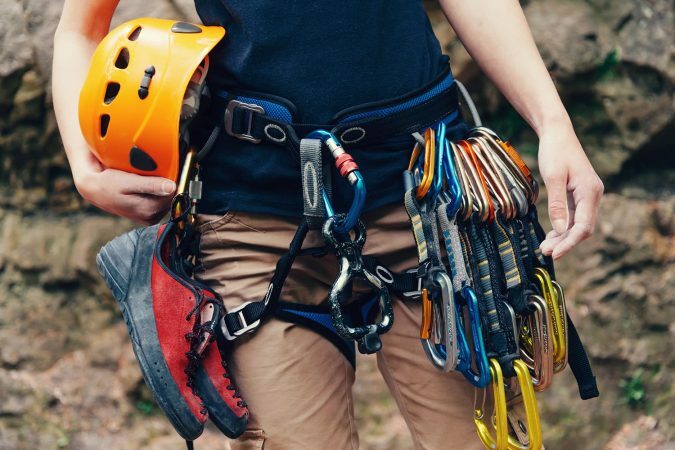 It fits more gear than you’d think it would, plus you’ll even have a rescue whistle on your adjustable sternum strap to keep you as safe as possible. It’s hard to argue against the Talon 44 Backpack. Designed to be comfortable even when you’re carrying it all day, the Redwing 44 has everything you need whether you’re touring Iceland or backpacking in Caye Caulker, Belize. This pack works as a panel loader and top loader thanks to the full-access U-zipper. Kelty wants to make sure you stay hydrated, so this pack has water bottle pockets on the side as well as a hydration compatible design. The carry handle makes it easy to pick up and store whenever you’re on the move, so the Redwing 44 is a great multi-purpose backpack for wherever your travels take you. This 55-liter backpack is ideal for longer trips, like if you’ll be traveling around Thailand, or shorter trips where you’ll need to bring along a lot of equipment. 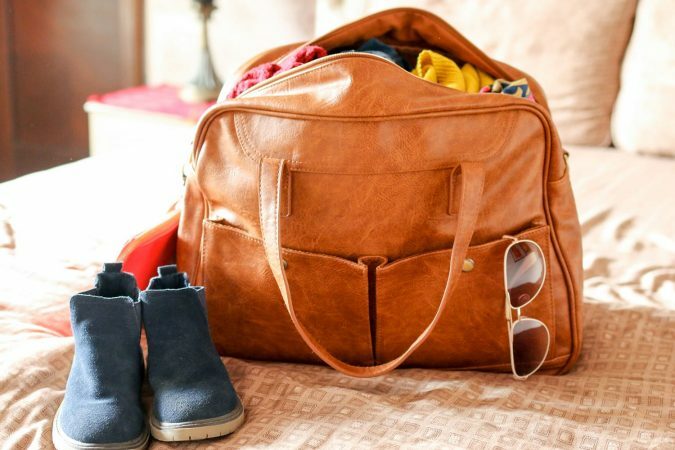 It should easily be able to fit all your travel necessities along with any other gear you may need, just make sure you don’t overpack unnecessarily. This top-loading bag has full-body front U-zipper access as well as a quick-draw top closure. You’ll also have a removable top pocket that includes a key clip and zipper pocket. With EVA foam on your shoulder harnesses and hip belt plus the updated CrossFlo suspension, you can be sure you’ll be comfortable if you choose the Gregory Mountain Products Zulu 55 Backpack. An excellent option for plane travel, you can use the removable daypack as your personal item while the 50-liter backpack should fit perfectly fine in the overhead bin. This 50-liter backpack has a main compartment you can access with the U-shaped zippered front panel, and there’s even a separate bottom compartment for you sleeping bag or lightweight travel shoes. The detachable daypack includes a small front zipper pocket that works well for items you want to leave behind for your day trip. Its PU coating means that the backpack is resistant to water and abrasions, so you can be confident the Deuter Transit 50 Travel Backpack will follow you for many years to come. This 55-liter backpack along with the removable daypack (42L Main Pack + 13L Daypack) mean that you should be able to carry everything you need without the bag bursting at the seams. The pack boats zip-away suspension with a panel stow slot to make it easier to travel with. You’ll also have internal compression straps as well as an adjustable sternum strap with a rescue whistle. Your daypack clips and zips in place to make sure it stays secure when attached to the backpack. Another gem from Osprey, this is a great option if you’re looking for a larger backpack. 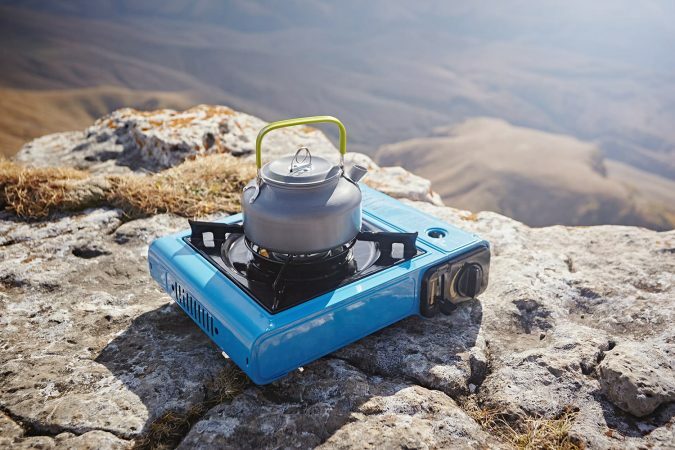 With built-in technical pack suspension, the 46-liter Porter is super comfy whether you’re backpacking, flying, or road tripping through Croatia. The main compartment has lockable zippered access, and there’s a front panel pocket with an internal zipper pocket for your smaller items as well as padded sleeves for your tablet or laptop. To make sure all of your things stay protected and the load stays stabilized, the sidewalls have foam padding and StraightJacket compression. 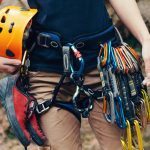 The shoulder harnesses can be stowed away and you’ll also have a rescue whistle buckle along with an adjustable sternum strap. If you end up needing some extra storage, the four reinforced cord loops on the front panel allow you to attach your own small daypack. You’ll love traveling in comfort with your Osprey Porter Travel Backpack Bag. This best-selling backpack gives you all the space you need and the comfort you want. The hybrid-loader makes accessing everything from your action camera to your waterproof travel jacket super easy no matter where you pack them in your bag. It’s easy to stay organized with this backpack because in addition to your main compartment, you’ll have a large front pocket to organize your smaller items as well as zippered side and stash pockets. Along with water bottle pockets, the backpack has a hydration compatible design. The backpack design provides support for the weight while keeping the load off of your shoulders and close to your center of gravity. Once you get yours, you’ll understand why it’s a bestseller. The comfort and ventilation of this backpack are superior thanks to the anti-gravity suspension and lightweight mesh. There’s a floating top lid in case you need more storage, but it can also be removed if you want to lighten your load. 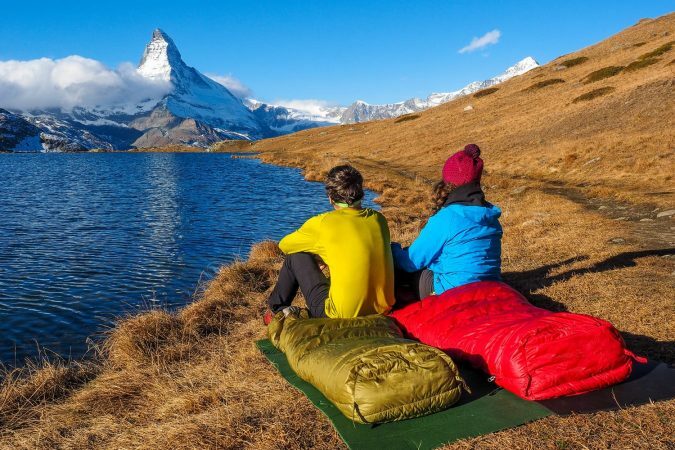 The pack is equipped with dual removable and adjustable sleeping pad straps as well as an attachment for trekking poles. Side and internal compression straps will help to stabilize the weight while the adjustable harness and hip belt make sure you’ll be comfortable while you’re backpacking through Florence. 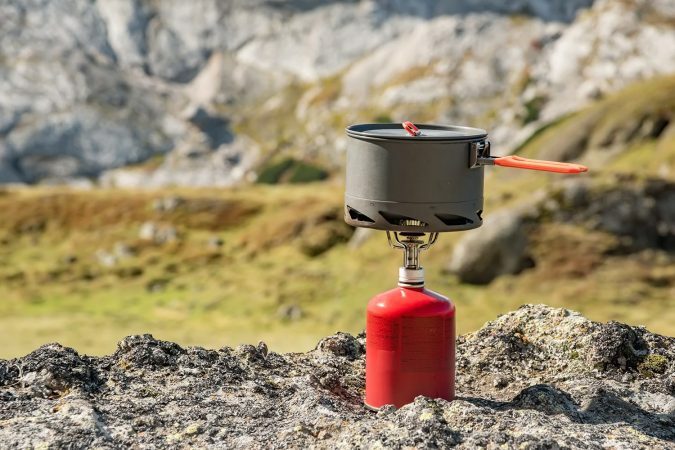 This 65-liter pack is great for any woman who’s ready to take on the world. There are so many reasons why this is an award-winning backpack, but here are the highlights. You’ll be able to access your gear through a zippered front panel or through the top of the pack. Your versatile top lid can be detached if you want to drop some weight, but it’s perfect if you need some extra storage. Unfortunately, your lightweight travel umbrella won’t protect everything in your backpack, but thankfully the integrated FlapJacket will make sure your stuff stays nice and dry. Five exterior zipper pockets and three slip pockets make it easy to store and find your smaller items. The adjustable hip belt, adjustable harness, and antigravity back panel give you an amazing, custom-fitting backpack for all of your future adventures. Super post guys. Having just lived out of our backpacks for nine months, we know how important they are! Ours we’re 80l and 65l respectively – in other words, HUGE! Haha yea 80L is definitely huge. Do you know how much it weight? I couldn’t imagine walking around with a 80L. Great review, Ben. 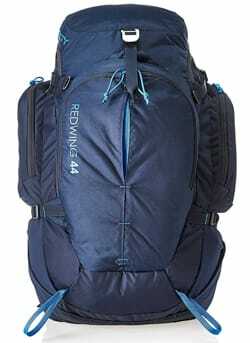 I personally used the Osprey Talon 44 on a backpacking trip to Japan, borrowed from a friend. It was more than enough capacity for a 5-day summer tour. 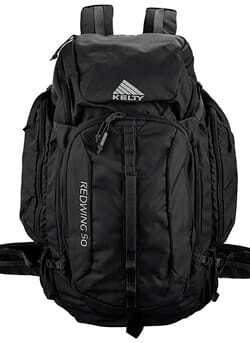 Now I’m looking to buy one, so I don’t have to always borrow my friends :) The Kelty Redwing 44 looks like a good contender. Great Stuff! It’s really awesome info to find a travel backpack. In the early of July, I have decided to go for a long tour. your article helps me a lot. Thanks for sharing with us. I’m going to share your article with my social media friends and family. Glad you found our guide on the best travel backpacks useful and thanks for sharing it with your friends! Hope you have a great trip :)! 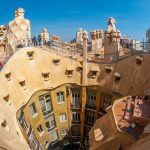 Good advice, I agree that regardless of travelling on a budget, this is one thing you should not skimp on – if you can afford the international flights around the world, you can afford to spend money on getting a decent backpack! Great tips on how to choose. I’m a spinner case kind of traveler, not a backpacker. 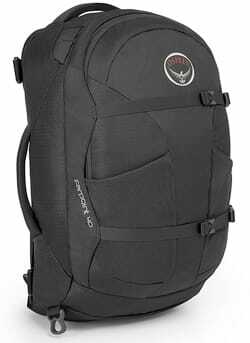 But I do love the Osprey backpacks for hiking. They carry backpacks made for women, are pretty waterproof, can pack a lot in and are comfortable for long distance hiking. 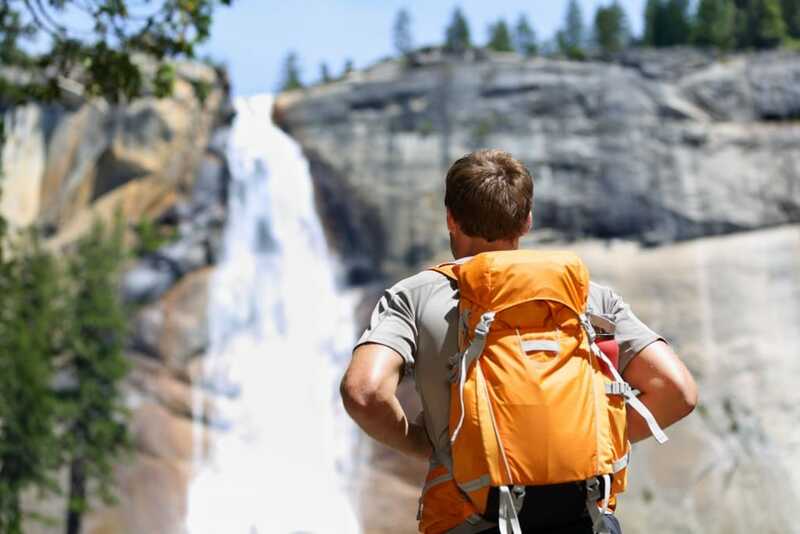 Really great guide – totally agree on the sentiment of investing in a proper pack even if you’re backpacking on a dime – NOT something you want to skimp on especially when it will be affecting your comfort and long term health re stress on your back. The most important things for me are the padded straps, proper frame for support, and the back ventilation is something people usually forget about but super important too. Thanks for the great points, totally agree with everything! I learned a lot from your post. I like backpacks but I did not know about factors like ‘frame size’. I have visited camping stores but I have not asked about the features of their backpacks. I am going to read more about front loading and top loading backpacks. Thank you so much for this post. 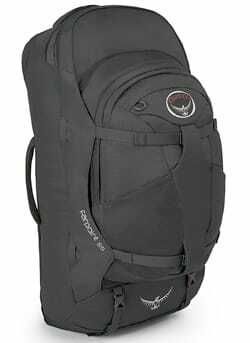 I have been thinking of investing in a good backpack from a long time, as I feel it is so important to have the right one when backpacking across a country. I have bought few backpacks in the past but have not helped me much. I will consider the tips you have provided in the post while investing the next time. Have heard so much good things about Osprey and Deuter from my friends so im really considering those two for my next backpack. Thanks for all the tips in choosing one! I am very picky when it comes to backpack because of my scoliosis. I also have an Osprey backpack and I love it. I love how detailed you are in your review. You really go over what the perfect comfortable travel backpack should be like. I wish I would have read your reviews before I ordered mine on the Internet. wow! A lot of technicalities there but I learnt a lot too. A very useful article I would say. 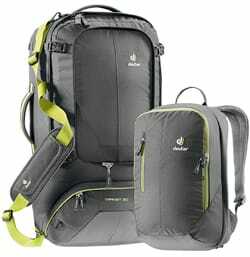 A good backpack is one of the most important thing a backpacker needs. I have a comfortable 45L High Sierra which has served well for some years now. My own preference is front loading as things are easily accessible but as you say it is an individual’s opinion. 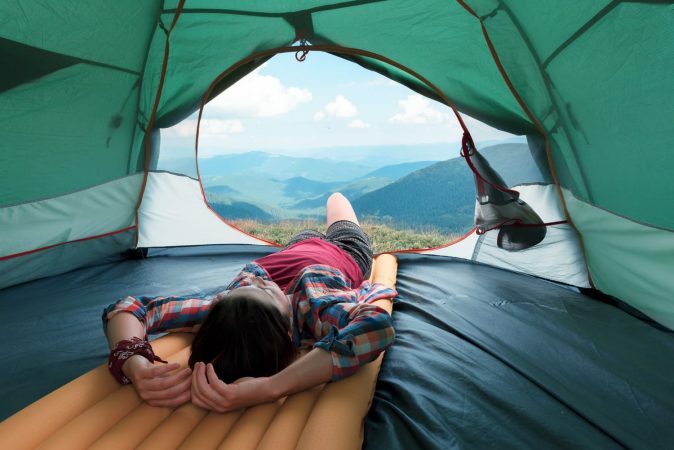 It depends on how many days you’re backpacking for. I have a 40L and a 55L backpack. When travelling for less than 4 days, I pick the 40L one and when travelling for more than 4 days, I pick the 55L one. Great roundup! I wish that some like the Deuter weren’t quite so tall — the height makes them ineligible for carry-on :-( When I was shopping for a women’s specific pack a few months ago I found lots of great choices with different features. I ended up with the Thule Versant 60L – higher capacity than I initially thought, but it can be cinched down to carry-on size. I love that it’s short enough not to hit the back of my head and that it has an adjustable harness height. Thank you for this informative article. Personally, I am a huge fan of the Osprey line of backpacks. I am quite impressed that you have reviewed 6 of them. 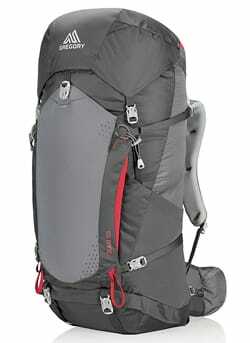 Especially, I love the Osprey Atmos 65G due to its anti-gravity suspension system and excellent ventilation. 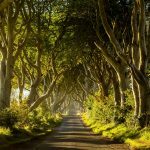 By reading this post, I have gained so much more regarding travel backpacks. Superb post! I was looking to downsize from my 65L Luminous pack to something much more manageable. I ended up with a 46L Osprey Porter. I’ve become a fan of Osprey from this pack. It’s large enough to travel for extended periods but small enough to fit on a carry on. The money I’ve saved from checked bag fees has paid for the pack itself!